Find new guests for your community gathering and distribute the bold Red Postcard in advance. 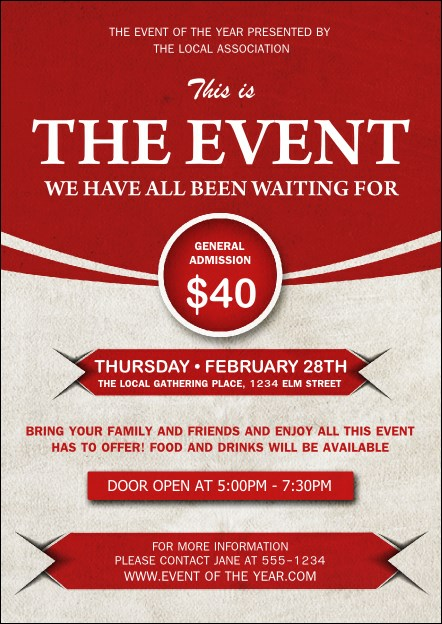 Crimson highlights stand out on this versatile design, with sixteen lines for event details. Send to your guest list or leave with supporting businesses to find new guests. Find the right design for your celebration at UK Ticket Printing.